Looking for a job in Erie County Ohio? The following guide provides a listing of Erie County top employers to include local government employment portals, healthcare job links, and a variety of schools that provide great teaching and support staff careers. Erie County periodically posts job openings on their website. During this review there had been open positions for Full Time - Part Time Licensed Practical Nurse LPN, Full Time - Part TimeRegistered Nurse RN, Full Time - Part Time State Tested Nurse's Aide STNA, and Part Time Juvenile Corrections Officer. Visit their site for current listings. The City of Huron had been hiring for the position of Entry Level Firefighter Paramedic. Check for updates. The City of Sandusky's Civil Service Commission schedules testing for the Sandusky Fire and Police Departments approximately once each year through the National Testing Network. Full-time and seasonal positions are posted on their website when vacancies exist. The Sandusky Library periodically hires. Visit their site for employment listings. The Vermilion Police Department is a midsize department consisting of Full and Part Time Officers and Full and Part Time Dispatchers. All full time candidates are required to take and pass a written Civil Service examination. The Erie County Health Department accepts applications for employment only when there are positions available. During this review there had been open positions available for Institutional Nurse, Registered Dietitian, Licensed Dietitian, Licensed Practical Nurse, Medical Assistant, Public Health Nurse, Registered Nurse for Schools, Public Health Nurse or Licensed Practical Nurse Institutions, Plumbing Inspector, and Plumbing Inspector Trainee. Firelands Regional Medical Center is a 400-bed, full-service, not-for-profit hospital located in Sandusky, Ohio. The hospital has a medical staff of more than 250 and a total of over 2,100 employees. A survey of open positions reviewed on this date had included Admission Liaison, Ambulatory Clinic RN, Carpenter, Certified Registered Nurse Anesthetist, Certified Tumor Registrar, Charge Nurse, Behavioral Health Clerk Receptionist, Clinical Documentation Specialist, Clinical Systems Analyst, Cook, Mental Health Coordinator, Case Manager, Dialysis Technician, EMT Security Officer, Food Service Aide, Float Pool Licensed Practical Nurse LPN, Urgent Care Medical Assistant, Urgent Care Licensed Practical Nurse LPN, Medical Office Specialist, Medical Scribe, Nurse Practitioner, Physician Assistant, Groundskeeper, Home Based Therapist, Housekeeping Jobs, Housekeeper, Environmental Services Tech, Environmental Services Jobs, Industrial Nurse, Information Security Analyst, Medical Technologist, Medical Technician, MRI Technologist, Network Manager, Nuclear Medical Technician (Registered) Nurse Director, Behavioral Health Nursing Jobs, Orderly, Patient Registrar, Chemotherapy Pharmacist, Phlebotomist, Pediatric Nursing Jobs, Pediatric Nurse, Radiologic Technician, Respiratory Therapist, Psychiatric Nursing Jobs, Psychiatric Registered Nurse RN, Nursing Rehab Jobs, Critical Care Registered Nurse RN, Psych Nurse, Security Officer, Surgical Technician, Home Health Supervisor, Sleep Disorder Tech, Therapist, Switchboard Operator, Therapist, Therapy Technician, Unit Coordinator, and more. The Bellevue Hospital is a great place to work! We are a locally owned, not-for-profit hospital, committed to offering patients the most advanced technology and medical treatment possible while providing the highest level of personal care. Open positions available may include Athletic Trainer Rehab Services (PT, OT), Physical Therapist, Medical Surgical Registered Nurse RN, Occupational Therapist, Medical Technologist, Cashier Patient Accounting Support, Patient Financial Services (Billing Jobs), Contract Security Guard, Cool Sculpting Specialist, Director of Materials Management, Help Desk Specialist, MLT Medical Lab Tech, Nutritional Services Aide, OR RN Circulator Perioperative Services Registered Nurse, Phlebotomist, Polysomnography Tech, Registered Nurse RN Med / Surg, and Speech Therapist. CHI Living Communitities operates two facilities in Sandusky. These facilities are The Commons of Providence and Providence Care Center. Here you may find employment opportunities such as Registered Nurse RN $1,500.00 sign-on bonus, LPN Memory Care $1,500.00 sign-on bonus, Assisted Living Personal Care Assistant $1,500.00 sign-on bonus, and Personal Care Assistant Memory Care $1,500.00 sign-on bonus. As a United Church Homes team member, you help foster a spirit of unity across our communities and a commitment to person-centered care at every level of our organization. Openings found had included Part-Time Dining Services Assistants, Full-Time and Part-Time RN / LPN, and Full-Time and Part-Time STNA positions. Concord Care Centers offer a wide variety of health care employment opportunities, with competitive salaries and an excellent benefit package, including health, life, dental, and disability insurance, a retirement plan, paid holidays, vacation, and a paid absence program. They offer careers for Registered Nurses, Licensed Practical Nurses, Restorative Nurses, Treatment Nurses, Staff Development Nurses, and MDS Coordinators. Admiral's Point Nursing had Full-Time and Part-Time STNAs $1,500 SIGN ON BONUS, PRN STNAs All Shifts, Full Time Dietary Aide, and Part Time Dietary Cook. Firelands Local School District periodically posts employment opportunities. Positions found on this review date included Substitute Paraprofessional / Special Needs Attendant, Food Services Jobs, Substitute Bus Drivers, and Title 1 Tutor. Huron City School District had open positions for Title 1 Teacher (Long Term Sub), Substitute Custodian, Substitute Educational Aide, Substitute Secretary, and Substitute Teacher. Check for new listings. To begin the employment process as a Substitute Teacher or Substitute Aide for Margaretta Local Schools, please go to www.rachelwixey.com to submit your application. Monroeville Local School District was hiring substitutes: Secretary, Cafeteria, Bus Driver, Custodian, Grounds/Maintenance, and Educational Aid. Perkins Local School District periodically hires Regular Teaching and Non-Teaching Positions, Substitute Teachers & Paraprofessionals, and Classified Substitutes. Sandusky Central Catholic School is always looking for conscientious and caring substitutes who are available and ready to help our students reach their full potential. Sandusky City Schools is always looking for dedicated, enthusiastic and talented individuals to become part of our educational team. During review employment opportunities were identified such as Middle School Principal, Part-Time Teaching Assistant for LPN to RN Diploma Program, Accounting Instructor for Adult Ed DOS Program (Part-time), Medical Office Instructor for Adult Ed DOS Program (Part-Time), Microsoft Office Instructor, Quickbooks Pro Instructor, Part Time STNA Program Coordinator, Latin Teacher, Math Title I Teacher, Accounts Payable, Elementary Guidance Counselor, Cafeteria Worker Substitute, Bus Aide Substitute, Bus Driver Substitute, Custodial Substitute, and Custodian 10 month. 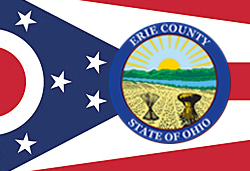 Erie County Chamber of Commerce is a great resource to use for exploring area businesses, economic climate, workforce information, cost of living, and more.